As I have said before, it is my conviction that Natasha Crain is doing some of the most important writing in apologetics today. She understands the challenges our kids face and does an outstanding job equipping parents to teach their children about the truth of Christianity. 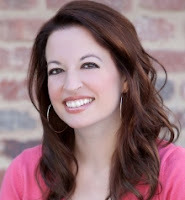 Her latest blog offers answers to 3 claims that skeptics will direct at young Christians in an attempt to shame them. It is my experience that not only are these charges leveled at young Christians, but adult believers as well! I personally have had these directed at me by "fundy" atheist types. "The Implied Shame Claim: You’re stupid if you’re a Christian and that’s not just my opinion—it’s been proven. Here’s the bottom line of what you should know: Over the last 80+ years, many studies have been done on the relationship between intelligence and religiousness. In 2013, researchers pulled together all the ones that quantified that relationship. Of the 63 studies they identified, roughly half showed no relationship at all. The other half showed at least some kind of negative relationship (the more intelligent you are, the less likely you are to be religious). That said, statistically speaking, it’s not very helpful to simply know there is “some kind” of relationship. You have to know how strong the relationship is to know if it matters. So researchers combined the results of all these individual studies to evaluate that question overall…and found the strength of relationship to be very weak. What do I mean by very weak? A -.17 or -.20 correlation is considered to be a trivial or negligible relationship by most statisticians. In other words, hardly worth mentioning. There is no reasonable basis for suggesting Christians are less intelligent than atheists according to this data." After answering each claim, she offers a "What Parents Can Do..." section that is most helpful! Finally, if you have not read Crain's book yet, I would highly recommend it. You can find our review here. So, the studies that claim "religious" people are less intelligent would very much depend on the sample they chose to study. Were they comparing Ivy-League-educated atheists in Manhattan to devoutly catholic, working-class people in an economically struggling enclave in the rust belt? It wouldn't surprise me if they found an IQ difference. Socio-economic advantages can predict higher IQ and academic success. Did they control for class differences at all? My suspicion would be that they did not. Saying "Christians are less intelligent" is like saying "black people are more prone to violence." It is a reflection of American cultural prejudices and disproven by *legitimate* social research.